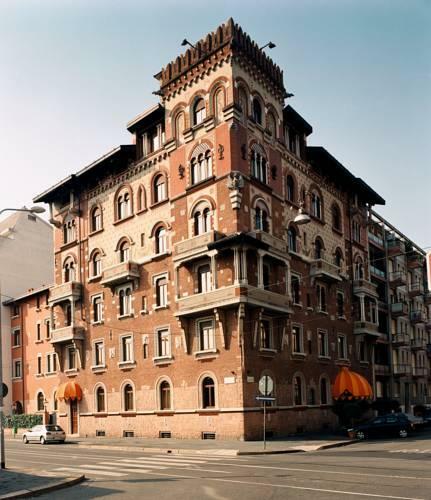 The leading historical hotel in Milan, Regency Hotel remains one of the most outstanding and prestigious hotels in the city. The Regency is open in a beautiful mansion that dates back to the beginning of the 19th century. Some elements of the design haven’t changed even a bit during more than two centuries. Flawlessly looking woven furniture and stone walls decorated with hand-painted patterns, high ceiling with massive beams, and vintage wallpapers in guest rooms – everything reminds of the culture of the past. Premium fabrics, amazing paintings, and frescos on the walls create a truly aristocratic atmosphere. Casa Calicantus is open in a no less beautiful villa. The incomparable design of this hotel is also a tribute to traditions of the past. There is a spectacular lounge with an old fireplace and massive wooden furniture at Casa Calicantus. The hotel still features the original stone walls and columns, wooden doors with skillful carving and high and narrow windows with forged treillages. Don’t forget to explore the picturesque inner yard that is also the location of a true historical landmark – an ancient well. Open in a luxurious historical building with columns, Worldhotel Cristoforo Colombo carefully keeps and flourishes traditions of the past. Magnificent amaranth carpets and mirrors in gilded frames, portraits of noble princes and priceless antique furniture made of rare sorts of wood – the design of the hotel is not inferior to the décor of famous palaces of the 19th century. The presence of a high-class wellness center is another advantage of Worldhotel Cristoforo Colombo. The center has a hammam and a modern looking relaxation area. Sometimes a stay in a historical hotel can replace an excursion in a museum. At least, that is true about Petit Palais Hotel De Charme that is open in a tremendously beautiful mansion that dates back to the 17th century. 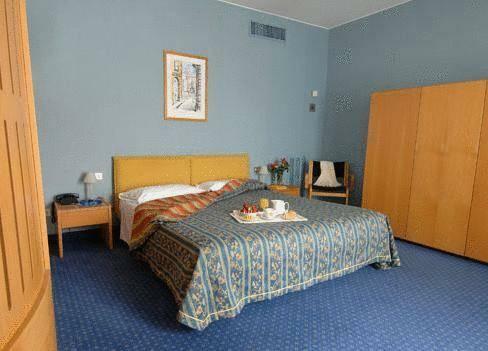 In the hotel, one can see a priceless collection of antique furniture, old carpets and artworks. The latter are represented not only by unique paintings but also by stone sculptures that can be seen in both public areas and the inner yard. Spacious corridors of the hotel remind of museum galleries as one can see various old vases and lamps, interesting marble and wooden decorations there. The territory of the hotel includes several secluded terraces decorated with sculptures and flowers. When it’s cool outside, there’s nothing better than to relax peacefully on a posh sofa near the old fireplace in the lounge. 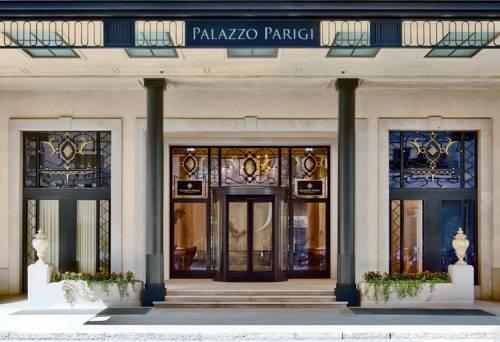 Palazzo Parigi Hotel & Grand Spa Milano The high-class Palazzo Parigi Hotel & Grand Spa Milano is also not deprived of historical luxury. Each element of the hotel’s design is of a great historical value – the beautiful marble floor with intricate patterns, skillful fretwork on the ceiling and walls, antique furniture with premium upholstery, and paintings by outstanding Italian masters. The nearby Caffe Parigi confectionery is one of the best places in Milan to get acquainted with the gastronomic part of the country’s history. All signature sweets are cooked in accordance with old recipes that are kept in secret. Open in the building of a former 15th-century monastery, Palazzo Delle Stelline never ceases to attract guests with its fantastic historical atmosphere. Only a short walk separates the hotel from Santa Maria delle Grazie Church. The building of the hotel is surrounded by a well-kept old garden. The hotel has a national cuisine restaurant that is open in a beautiful hall with arched ceiling and massive old chandeliers. All dishes in the restaurant are cooked exclusively in accordance with traditional recipes. The design of the restaurant is flawless. All food is served on old and expensive porcelain tableware. 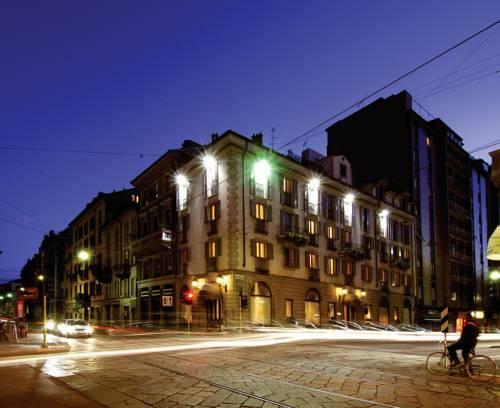 This guide to historical hotels of Milan is protected by the copyright law. You can re-publish this content with mandatory attribution: direct and active hyperlink to www.orangesmile.com.